This congregation, founded in 1839 as the German Lutheran Society in the City of Boston, is the oldest Lutheran congregation in the Northeast. Its current building, located in the center of historic Back Bay Boston, was designed in 1957 by MIT Dean of Architecture, Pietro Belluschi. 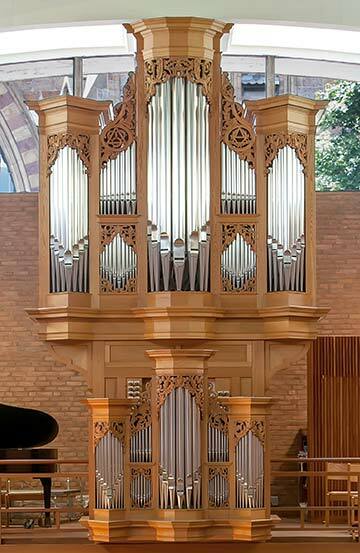 At that time, a Wicks organ was installed in the back gallery. 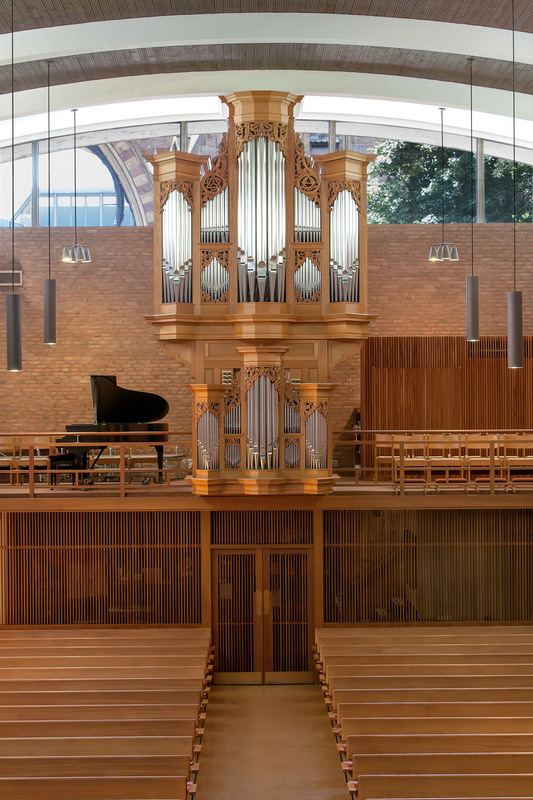 In 1995, under the direction of organ advisor, William Porter, and church organist, Mark Meyer, discussions began for a new tracker organ to replace the previous instrument. Current organist, Balint Karosi won the 2008 J S Bach organ competition in Leipzig, Germany. The handsome, slightly austere North German case of white oak blends well with the simple linear feel of the church interior. There are 7 independent reed stops over the two manuals and pedal including 3 (with a short length 16 foot Dulcian) in the Rückpositive. The Rückpositive also has the distinction of having the intra-manual coupler connect the Werk to the Positive in the Dutch tradition rather than the more normal Positive to Werk.